Tim Carroll (who is currently directing Mark Rylance and Stephen Fry in the West End's Richard III and Twelfth Night) returns to direct this bicentennial production that incorporates puppetry and a Christmas soundscape. 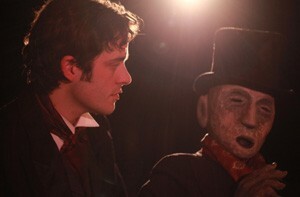 "I was spellbound by Dominic Gerrard's one-man show of A Christmas Carol. It's the perfect way to begin your Christmas ... "